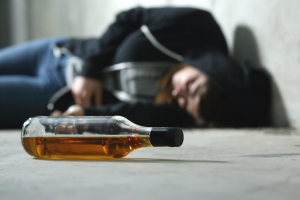 If you are an alcoholic and you have come to a point where you have decided to call it quits and come clean, whether on doctor’s orders or you have just made it your new year’s resolution, you need to know some truths about alcohol detox. This is not meant to scare or intimidate you, but it is to prepare psychologically for what it takes to be sober again. Addiction is well understood as a life-long chronic disease and curing it also requires as much effort. Although relapses are part and parcel of recovery, everyone who has experienced then knows it’s not easy. Even if you are no longer abusing any substance, medics still refer to you as being ‘in recovery,’ as the process is continuous. Commonly known as DTs and is a condition that causes sudden as well as severe mental disruptions. Most people understand the symptom by associating it to the shakiness it causes but there is more to it. DT’s consists of other devastating withdrawals such as seizures, confusion, hallucinations, anxiety and mood swings. After heavy drinking by the recovering alcoholic, it can develop within 48-96 hours and it is possible to last up to 10 days. Benzodiazepine drugs such as Ativan and Valium are typically incorporated in the treatment of withdrawal discomforts such as agitation and insomnia. An addict undergoing detox from alcohol can be put on these meds. When discontinued from the prescription, the addict is likely to face a rehash of issues he/she was trying to address in the first place. Detoxes contrast in their way of functioning and thus are administered differently. For this reason, qualified medical practitioners are the ones supposed to handle the procedure. Alcohol detox employs the Clinical Institute Withdrawal Assessment (CIWA) tool to measure the severity of the addict’s withdrawal. The tool helps to weigh options on what a particular patient is to be given depending on their individual alcohol abuse. It also helps the medics make a decision on whether to put an addict on benzodiazepine or not. Many alcoholics are aware of Acute Withdrawal Syndrome (AWS) which lasts 3-5 days. They might think this is the hardest part of recovery, after which all will sail smoothly. Wrong. AWS is just the first stage of a two-step process. The second phase, commonly known as the Post-Acute Withdrawal Syndrome (PAWS), can run for a year or more. During this phase, alcoholics face insomnia, irritability, and fatigue. Emotional struggles may lead to relapse.